After several years of success, Clerkenwell Design Week (CDW) has established itself as the UK’s leading independent design festival and one of the most acclaimed trade events on the international design calendar. In this edition, from may 21st to 23th, Actiu is actively participating among 60 showrooms, opening the doors of its brand new location in Clerkenwell. During three days, Actiu showroom will be a meeting place for professionals who will know new products and trends through workshops and training sessions, enjoying the cuisine and Spanish wines. An Introduction to Workplace Ergonomics is the talk carried by Colebrook Bosson Saunders, at 1pm on Tuesday 21st May 2013 at Actiu Showroom. Topics covered will include an overview on the importance of intuitive design based around ergonomics, the commercial benefits of working in a comfortable environment and a guide to setting up workstations to improve work areas. Conducted over lunch, there will be nibbles and refreshments during the 40min talk and the opportunity to win one of two Flo Arms on display or a case of Spanish wine. Actiu in collaboration with Era Screen and Lorna Syson invite you to join them at drop-in workshops being held every day between 10.00am - 12.00pm and 2.00pm - 5.00pm. 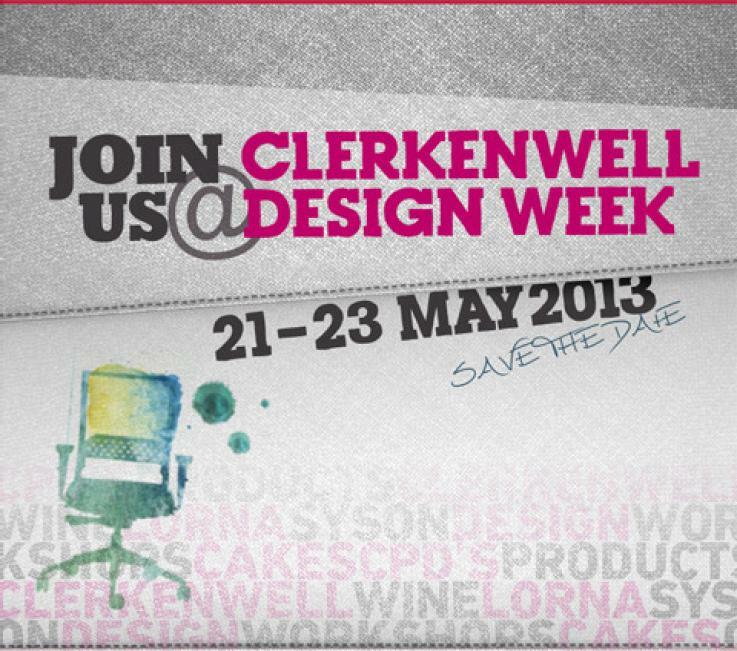 At the workshops we will asking people to think about what Clerkenwell means to them. If you had to sum up Clerkenwell in one image, what would it be? Participants will be invited to reproduce this image using a variety of artistic mediums. Each image will then form part of a visual map celebrating this diverse, creative community. The aim is to see the map progress and evolve throughout the course of CDW week. If that wasn't enough, we will have a range of English teas and coffees together with wonderful cakes from The Timber Yard so please join us.